The Muslim community seems to be decades behind British society in the treatment of women1 with Western values not yet permeating our mosques and community centres. Independently of whether this is a good or bad thing, the question is why? In my personal view, it is due to Islam and Muslims. 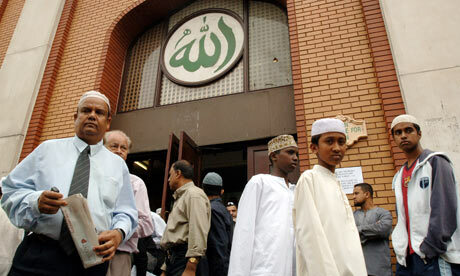 Firstly, Islam – or the mainstream interpretation of Islam – is naturally conservative. It is most closely understood as being supportive of “traditional family values”. Major scholars from all schools of thought, are united in their belief that men are and should be the financial breadwinners; men are and should be the natural leaders; and men are and should be the interpreters of the law. At the same time, it is women who must be available to their husbands; it is women who must cover their bodies; and it is women who must be segregated from the rest of the society (unless there is a reason not to). In this climate, is there much reason to expect a different outcome? In a holistic manner: women’s rights cannot be discussed without discussing responsibilities e.g. if one were to argue for the rights of women to have a career and not be at the husband’s beck and call, this cannot be done without also considering financial responsibility of women in a family setting. With due deference to those with differences of opinion: in any culture or religion, major scholars live(d) in societies which are very different to our own. It is not fair to blame them for not seeing the world in the way that the progressives of today do! Old people: Those who run our institutions, are in general, the older generation, who primarily are immigrants and have brought their patriarchal culture with them – this is very difficult to change, other than by democratising our mosques, and allowing a greater say to all. Men: If you are in a position of power or superiority, there is little reason to fight to give that up, whether or not you think it is right. Just put yourself in the position of the men in the marriage process – would you prefer to have a situation where the society supports your freedoms and does not judge you? Self-interest drives societies, and from a pure political perspective, it is not in men’s interest, to drive the feminist agenda. To change this, must be done by aligning all our interests in a collaborative manner where possible, building coalitions rather than being antagonistic and always wanting a fight! Women: A significant proportion of those who want change are women who have experienced the discrimination, whether directly or indirectly; whether intentionally or unintentionally; and whether at a small or large scale. Yet how many actually do anything about it or support those who do? In reality, who are the ones who put down those who speak up? Be strategic, build coalitions and understand politics: work differently and appropriately on the levels highlighted above, building an argument based on the audience’s specific issues; and do so in a sensible manner, not alienating those who support your cause! Do something about it and be ready to sacrifice: when there is change, there is inertia and opposition to change. Without people willing to stand up and take the expected abuse, society will not move forward. I am not saying that we need a sacrificial lamb (or ewe lamb!) but we have to realise the necessity of sacrifice and abuse; and therefore, the requirement for this to be a collaborative effort with mutual support to mitigate this as much as is reasonable / possible. And really, we cannot sit back and let this continue. We have to all identify where there is patriarchy and misogyny, and strategically do something about it, not only to solve the issues of today but also for the longer term. (2) There are so many institutions who still do not provide a vote for women, or do so in a ridiculous way – I can’t believe that this still happens in the 21st century, and nobody seems to care! (3) I know that this is a simplification to some extent, and ignores the strides being made in the community. I know also that there are other causes I have not mentioned but I genuinely consider these to be the biggest reasons.